Fires Are Possible In Light Fuels! 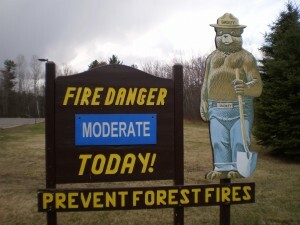 The State of NH sets a Fire Danger Level everyday. This is to help make it safer for burning brush. They use terms; LOW, MODERATE, HIGH, VERY HIGH & EXTREMELY HIGH.